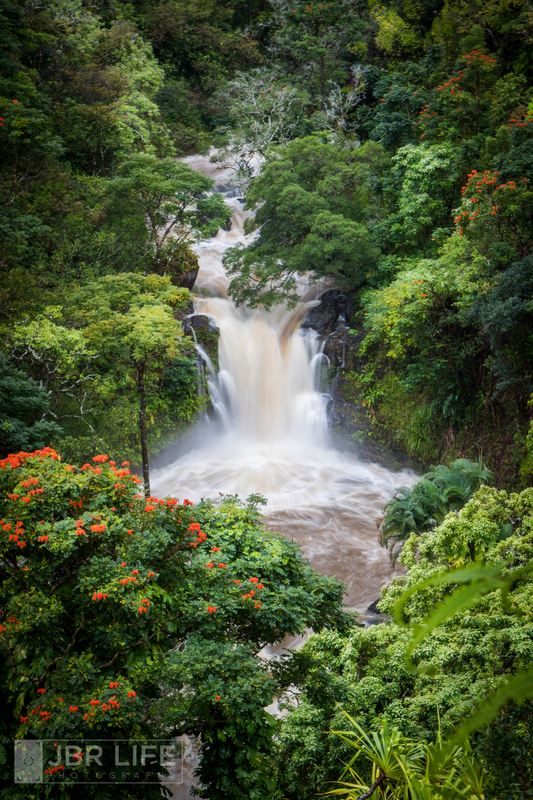 Another shot from east Maui, in the rainforest. We've had crazy amounts of rain over the past 3.5 weeks. It makes shooting for hire tough (our projects often require sunny skies and beautiful blue ocean water), but the waterfalls are BANGIN'!! Nice long exposure, I like it! Lovely. The color in the flowers is a big plus. Oh I so wish I was there! I think I recall this!